Personal branding is important for establishing yourself as an industry expert, creating an online reputation that you manage, and a great way to begin to grow your online networking. Treat it with as much care and effort as you would if you were marketing your own small business. After all, you are the CEO of your own career. Here are eight great tips for updating (or establishing) your personal branding! Separate personal from professional. If you use social media to stay in touch with family and friends, you may want to create a new account for your profession al profile. Another approach is keeping your platforms separate: Twitter and LinkedIn for business, Facebook and Instagram for personal. Your personal accounts or platforms can be further separated from the professional by using a nickname or alternate name. That helps them stay separate when you are searched. LinkedIn. LinkedIn is the primary professional-use social media platform, so refresh this one first. 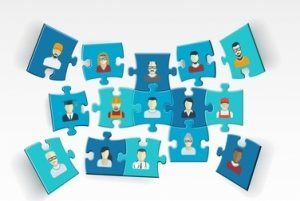 Update your Linked profile to include recent experience, skills, and job titles. Update your head shot if it’s more than 2 years old. Ensure that your LinkedIn and resume information matches; it’s much easier to do this when you are relaxed and not in the midst of a job search! Finally, make sure your key accomplishments are listed and consider asking for recommendations from your contacts. Secondary platforms. Take the bio and headshot you used for LinkedIn and update your other professional-use social media profiles to match LinkedIn. This provides a consistent visual brand as well as a consistent message. Delete unused accounts. This allows hiring influencers, network contacts, and others who search your name to get the results you want them to see: Live, active, and curated social media accounts with current contact and career information. Facebook. If you are using Facebook in a professional capacity, update your profile as you did in tips 2 and 3. Update your header image to a visual relevant to your industry. Your headshot should match your LinkedIn photo, but the header can be a photo or a graphic. My own is often an inspirational quote, someone in real estate might have landscape photography, someone in logistics might choose a photo of truck or a ship in motion, a hospitality exec might choose a photo of a busy kitchen, a wine cellar, or stacked linens. Use photos from public domain or ones you have the rights to publish, when possible. Website. Update your website with the same visuals and information as you did your social media. Consistency across platforms is smart branding and shows your attention to detail. Again, make sure your most recent accomplishments, skills, and experience are highlighted. Analytics. Connect Google analytics to your website and see what content is sparking the most interest. You can also check the analytics for your social media platforms to see what posts have generated the most visits, comments, and reactions. Calendar. Create planned content. You don’t have to use virgin content for every platform. Work smarter, not harder, and write an article for your blog, take that information you just researched and turn it into a Facebook post, a tweet, and then write an introduction and post the link to the article on LinkedIn! Once a week, or even every other week is a great start. When you think of career management, do you think of job searches? That’s just one aspect of career management. As a Career Coach, Executive Career Coach, and Executive MBA Career Coach, I find myself advising my clients that they must manage their own careers or no one else will do it! Career management is the act of guiding and growing your career. You’ll have different goals and priorities at different stages, but you’ll always need to set goals and identify the strategy for reaching those goals. You’ll need to ask yourself this question at least annually. Outside factors can cause radical shifts in both answers: An economic recession, the birth of a new baby, a sudden job loss, a new achievement or degree, there are many factors that can change your long-term and short-term goals. Don’t be afraid of changing your goals as your personal, financial, and work goals change. Internal strategy: Where do you want to go in your current company? What skills and experience do you want to pursue here? This is the strategy for growing your career within the organization for which you work now. External strategy: What skills and experience should you be gaining outside of your current job? This can be through adding an Executive MBA, volunteering on a non-profit Board, networking, or any other means of adding to your resume outside of work. Values: Identify your core values and your career values. These will help shape your career choices. If you believe true success is entrepreneurial, that value will inform your ultimate goal and many of your external strategies, too. 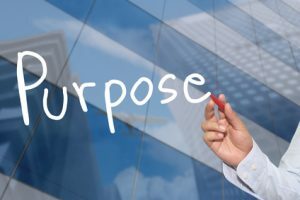 If you are passionate about working for companies with a social purpose, that will shape your career decisions, your networking, and guide many of your strategies. If you’re not sure what your career values are, take a look at a copy of your current resume. Run a line through all the skills and experience you have that no longer really interests or excites you. The items left on your list will show you what professional knowledge and experience you want to centre your career around. The intersection of those core values and career values can inform your career goals. Personal Branding: Create an authentic personal brand around your core and career values, with an eye to your ultimate goals and your strategies. Then begin to network to grow your professional reputation. You are actively managing your career and know that social media can be a great way to get noticed by hiring influencers. You want to establish your reputation as a professional, and as an industry expert. However, you already have accounts on platforms such as Facebook and Twitter…and those profiles were established for personal use and you don’t want to lose that connection with friends and family. How do you balance personal vs. professional use of social media? There are two ways to handle this online duality. You can preserve existing social media accounts as purely private and personal, and establish new profiles for your career and professional use. Or, you can start over with all new accounts that serve both purposes. Limit access to the personal, and create new professional accounts. There are three options here, and you should pick the one that seems best for you. Change your name on your personal-use social media profiles. Use a nickname, maiden name, or an alias (Michael Smith could go by Mike Smith or Big Mike. As an alias, he could use Jane’s Mike. Or Mike-loves-Jane. There’s 1,001 possibilities.). Once you have changed the names on your old personal-use profiles, create new accounts for professional use under your full name. This is a great option if you’re just beginning your career or if you expect to change industries in the future, or don’t mind being a little silly on your personal profiles.). Invite business contacts to your professional-use accounts. Leave your current name on your personal-use profiles, but open new professional profiles with your industry or profession after the name (Michael Smith could keep his old Facebook profile, and add “Michael Smith, Insurance” or “Michael Smith Actuary”). This option is for those who are sure they’ll stay in their field/industry for many years to come. Most social media platforms put a limit on how many times you can change or edit your name. Decide that one platform is for personal use, and the rest are for professional use. Deflect professional contacts away from your “friends and family” platform and toward LinkedIn and any other “professional” platforms you choose to use for work. You’ll have to contact any colleagues in your friends list about your change in social media strategy if you want to transition them from the personal to the professional medium. This option is best for those who already choose not to add work contacts to one particular social media platform, as no matter how practical the strategy, it’s inescapably rude to move someone out of the friend-zone and into the professional-zone. Note: With any of these 3 options, you’ll need to change your privacy settings on your personal social media accounts/profiles to the most private available, including changing the privacy settings on the photos. This prevents search engines from pointing to your personal-use profiles or platforms. After changing the privacy levels, search your name to find your own public posts and tags on other people’s photos of you. Decide whether to remove/change privacy on your posts and their tags. This limits what anyone who isn’t on your friends list can see. For Twitter, you can “protect” all your tweets and limit who can see them to friends-only (be aware, if you later change your privacy settings to public again, ALL tweets become public – from first to last). Start over with all-new public accounts that work for both personal and professional use. This may be the simplest of options. Here’s how to make it as fast and simple as possible. Save your photos from your current personal account(s)/profile(s). Make a list of contacts you want to be sure to retain. A screen shot of each page of your contact list is an easy way to do this. Choose the name you’ll be using on your profile(s). Ideally, it should match your resume and your LinkedIn. Make an announcement of the changeover on your social media platforms. You may also want to use any “instant message” features to send every contact on your list that same announcement. Change the name on your existing profiles. Sometimes the software balks at letting two users have the same name, even if one deletes the old account first (which you don’t want to do.). Create new profile(s)/account(s) under your real name, see #3. Fill the profile(s) in as completely as possible, adding professional information wherever you can. Choose the personal information you upload very carefully. Use a professional headshot or a photo of you in your professional role. Load any photos which are appropriate for the new dual-use account(s). Save the rest for personal use on your computer or storage medium. Add your contacts, using your screenshots/list as a guide. Post another announcement about the impending closure on your old account(s), and a welcome on your new one(s). Begin using the new one(s). Note: Some platforms resist closure or deletion of accounts. This is one of the reasons for the direction to change the name on the old account(s). If you run into this issue, simply change the privacy settings on your posts, photos, etc., to “Only Me” or “Friends Only” and delete your friends list. Why not simply use existing accounts and profiles for both personal and professional contacts? You can, but chances are, your casual personal style doesn’t match your consummate professional presentation. If it does, great! Go for it. It presents a certain amount of risk, but only you can decide if that risk is worthwhile. What risk? Cousin Jimmy may dig up that photo of you that should NEVER see the light of day again, and post it on one of your accounts as a joke. Or that angry post about Manulife 10 years ago may come back to haunt you during an interview for their Board. 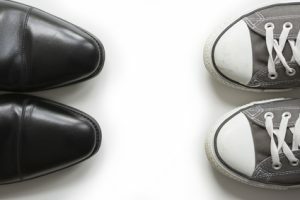 Recent accounts are easy to “clean up” by removing material that could look unprofessional. Older accounts may not be worth the amount of time it could take. Only you know how you want to manage your social media. Chances are, during a job search, you will be searched. Hiring influencers look online to get a feel for who you are and to see your personal branding to learn more about you. Yes, you DO have a personal brand, even if you don’t put energy into managing it. 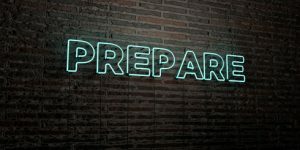 So how should you prepare your social media for a job search? Immediately, focus on the short-term urgent tasks: Make sure your information matches, use keywords across platforms, develop your profile fully, go public so you’re easily searchable, and link your accounts. In the long term: Update regularly, interact with your contacts, and join groups that feed into your brand. Make sure they match. Your resume and social media profiles should match perfectly. Discrepancies may be accidental, but they cause hiring influencers to question your accuracy (if not your honesty). Professional branding. Use the same astute business acumen in your own career management that you use for your company’s benefit. Sell yourself consistently across platforms. Use the same keywords and language from resume to social media and even in your applications. Make it easy to understand the message you are sending about your skills, experience, and value. Fill out your profile. I see so many clients who have only partially filled out their LinkedIn profiles. This and other social media are places where hiring influencers are actively searching for candidates! Why would you make it harder for them to find you and learn about you? Go public. Make sure your information is available to be searched. As with your profile, you WANT to be noticed and found by hiring influencers holding the key to your dream job. While your search is active, make your contact information available, too. Link up. Link your social media accounts so that executive recruiters and other hiring influencers can find you easily. Update schedule. 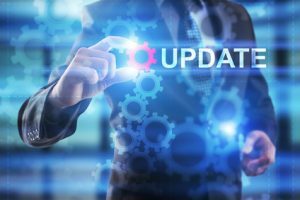 Set an update schedule so that you can work on the social media side of your personal brand regularly. This way, all of your professional achievements are available to hiring influencers and potential employers. Interact. Share links and ideas that are relevant to your industry to establish a pattern of expertise and in-depth knowledge. Like and share posts from other industry experts and from your network contacts to strengthen your connections. Join. Join groups relating to your career, your industry, and your interests so that you are even more visible online. 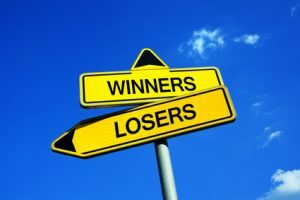 A recent Wharton study, “Shifts and Ladder: Comparing the Role of Internal and External Mobility in Executive Careers” by Bidwell and Mollick, showed that the biggest gains, over the course of a career are made by internal career moves, and that external career moves don’t add up to long term gains in responsibility or earnings. 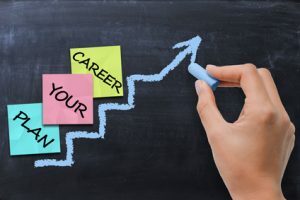 This runs counter to what many career coaches and experts have been saying for years, that the only way to make a significant salary or responsibility leap is with an external career move, meaning taking a job with a new employer. 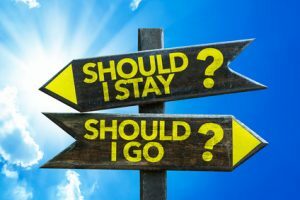 So, with this game-changing information, how do you know when to stay with your current employer and when you should search for a new job at a different company? First, identify your goals. Are you looking for more compensation for the same job, or are you restless and looking to increase your skillset, or are you ready to take your career to the next level of responsibility? Compensation. Do you have a scarcity of benefits in your current job? Are you happy in your position, but you want compensation commensurate with your worth on the open market? It may be time to change employers. When you have stayed in the same job for 8 or more years, your “step raises” probably won’t have kept pace with your value in the job market. If you are very satisfied with where you are in your career, and you can see longevity in your current job description (no sign of your skills or your title becoming obsolete), then placing yourself back into the job market may be your best bet to meet your compensation goals. Improved skills. Are you looking for an increase in your skillset? Do you want to learn more in order to ready yourself for a move up the ladder? Have you lacked a sense of challenge in your current position? If you are looking to improve or expand your skills, or you are looking for a lateral move to prepare you for greater responsibility in the long run, then your career goals may be best served by staying at your current organization and looking for an internal move. Your organization may value the investment you represent, and invest again in your desire to increase in value. The Wharton study speaks to this, when one of the authors concludes that internal moves are more productive for employees because an organization which already knows your value and work ethic is more likely to take a risk and give you new or greater responsibilities, while a new employer is likely to be more interested in giving you the same job albeit with a greater salary. Greater responsibility. If you’re looking to move into management, to increase your responsibilities, or take a major step up the career ladder, you’ll want to try to make an internal move, for much the same reason as the candidate wanting to broaden their skillset. Your current, happy employer is much more likely to take a risk and give you increases in responsibilities because they have seen you succeed in your current position. Then, look objectively at your current organization. Does your company promote from within? Do they actively encourage adding new skills, growing your career and your value as an employee? If they do, your best bet for increasing skills and responsibility are probably internal rather than external. You may also have better luck negotiating a raise to meet current market value at a company like this. However, if your company is more conservative in its approach and doesn’t often promote from within or is rigid in adherence to their formula for raises, your best bet for an increase in salary, skills, or responsibility is to make an external move. External factors. When and if you choose to make an external move, be sure to choose a company that does promote from within and encourage growth in employees, because the results of the Wharton study do show that internal moves are better, long term, for the growth of your career and your salary. During your job search, research potential employers, and ask questions about promotion from within during your interviews. Make opportunity for internal moves a must-have when shopping for your next employer. It is YOUR responsibility to manage and grow your own career, not your employer’s. Identify and set goals for yourself and your career, and do some research to see if your goals can be met internally, or whether it is time to polish your resume, increase your networking, and enter the job market once again. The Job is Yours to Lose! Over-confidence. Confidence is great, it speaks volumes about your experience and your comfort in a leadership role. Remember that no matter how perfect the fit, the organization is still interviewing you to ensure that you do, in fact, fit well into their company and will complement and enhance the team they’ve spent time and effort building. Every interview can be failed, even a “sure thing”. Dress for success, stay humble, and show your interest in the position. Ignorance. What you don’t know, bites you. Even in the best of all possible interview situations, do you research. Read up on the corporate culture, listen carefully to the information your recruiter gives you, and use it to help you focus on the areas of importance to this organization. Being prepared for an interview is crucial, even when you’re expecting success. You don’t want to emphasize your experience in entering the global marketplace if the company is still recovering from a failed attempt at a bid to enter the Chinese market! Don’t forget to brush up on your own resume, too. Be comfortable discussing both your prospective employer and your own skills and experience. Engagement. Treating an interview as though it’s just a formality can be a fatal error. Stay alert and engaged during your interview(s). Use your business intuition. If a hiring influencer mentions that fit is important, focus on how you fit the position perfectly. If they express concern that their opening will be a brief stepping-stone in your career path, emphasize the value you bring to their organization and your history of longevity and loyalty. Greed. A serious interest in hiring you is a great place from which to negotiate, but it doesn’t indicate that an organization is willing to overpay. Know the job market in your industry and your area, and negotiate as cautiously as you would for a job you’re unsure of getting. While you may be an attractive candidate, you’re not the only candidate. This is another area where over-confidence can hurt you. Stay realistic and ask for what the market says you’re worth. 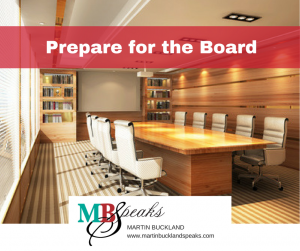 If you’re planning to seek a seat on the Board, it’s important to know that you need to prepare in advance. Your personal branding, resume, cover letter, and networking needs to shift into a higher gear well before your first interview. The search team for a Board position expects a candidate to have prepared their personal branding and resume to reflect their goals, and since networking may be the only way to catch the eye of hiring influencers for these positions, a good network of solid contacts is crucial to your success. Resume. Prepare your resume and cover letter first. A Board resume needs to express your goals, skills, and experience just as a standard resume does, but the emphasis is on leadership, consensus-building, and teamwork, and less on personal achievement. 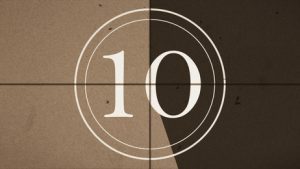 Numbers are still an important element, but instead of personal numbers, add statements that reflect how you affected the corporate bottom line or team accomplishments. Working on your resume first allows you to drill down and identify both your professional goals and the skills and experience that show your fitness for those aspirations. Personal branding. Polish your personal brand until it shines. Make sure your social media is free of any opinions, photos, or information that doesn’t support your readiness for a Board position. Check that your profiles and blog bios are current, your headshot professional, and that all of your listed skills, experience, and education match your new Board resume. Hopefully, you have been establishing yourself as an industry expert through posts about common issues, solutions, and links to news that relates to your field. You need time to lay the groundwork, and then you can support that reputation for expertise during networking events. Networking. Just as you established yourself as an expert in your field on social media or in a blog, you’ll want to do the same while stepping up your networking. Since many Board positions are filled before the announcement of an opening, your network opens the door to the Boardroom. The time for active networking is upon you. Seek alumni from your business school who have reached the Board level and make strong connections. Follow through with those contacts over time, and don’t be shy about asking for a mentor. Take leadership roles in networking events, both as an organizer and a speaker. Stepping up as a leader in your network allows your contacts to see your professional growth and brings you to mind when positions are discussed. Start small. Many corporate Board members began on the Boards of non-profits. Not only is it a great training ground for those who want to make the step up from the C-Suite to the Boardroom, but it enhances your resume and leadership skills in your current position, too. Charitable work at the Board level can offer new opportunities to network with a group of professionals who are on, or moving toward, corporate Board seats. Choose a charity that interests you, or one related to your industry to begin, as a genuine interest or expertise makes it easier and enjoyable to donate your time and skills. The work is unpaid, but the experience is priceless.